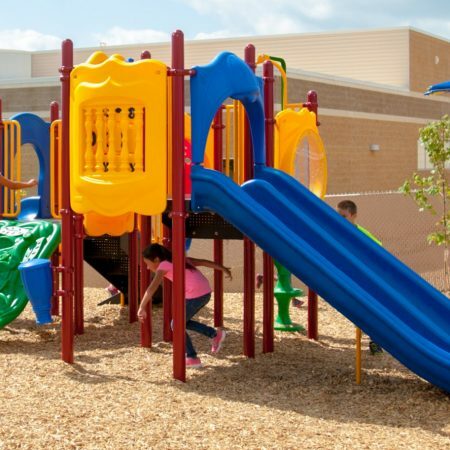 Maddie’s Chase is a great option for a child care center with school age children, community park, apartment complex or church. 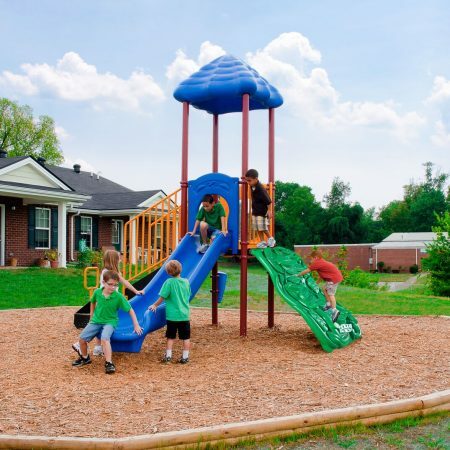 Maddie’s Chase is a great option for a community park, apartment complex or church. 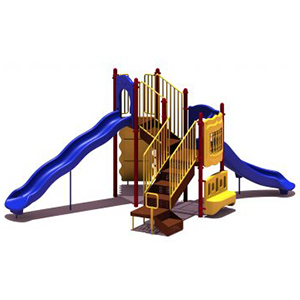 It features a Double Slide, allowing children to race to the bottom. It also feature a challenging Overhead Climber promotes core and upper body strength. 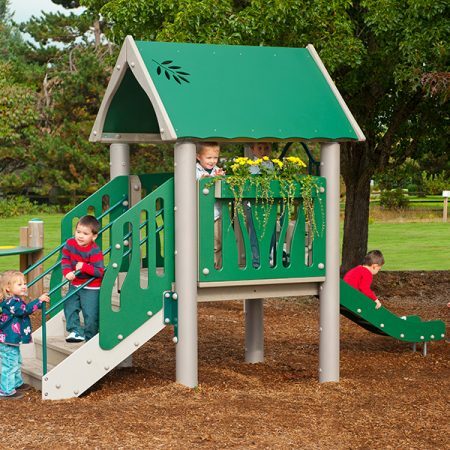 The Beanstalk Climber and Stepping Pods offer fun entry and exit options. 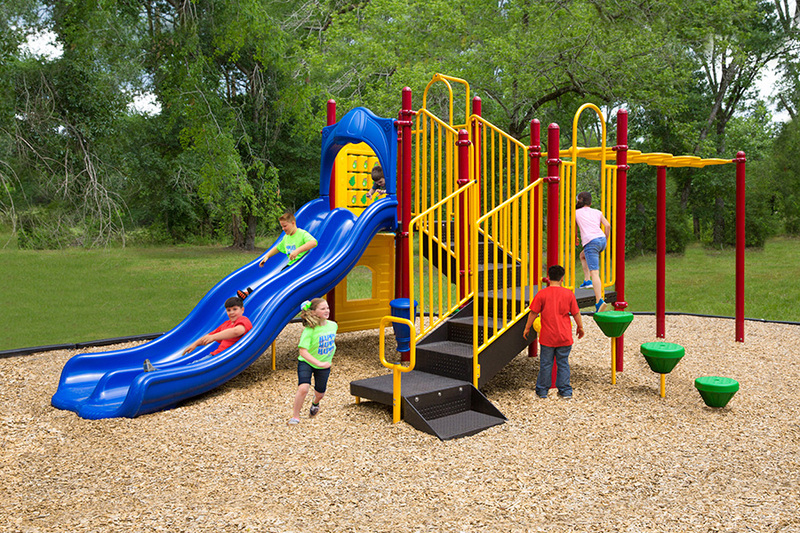 A Window Panel adds sensory play, in addition to three ground-level music components. When children needsa break, they can grab a seat on the Bench Panel.